The Boston law firm of Mintz, Levin, Cohn, Ferris, Glovsky and Popeo, announced on Tuesday that William F. Weld, the former governor of Massachusetts and a current delegate of Mitt Romney is joining the law firm. Weld had been practicing as a counsel in the New York office of McDermott Will & Emery since 2006, and advised clients on corporate and legislative investigations, government strategies, and general litigation. He would be continuing the same work in Mintz Levin from October 22. Weld would also become a principal in the consulting arm of Mintz Levin, ML Strategies. He is also shifting to Boston for reasons of family and lifestyle. Steve is credited with pitching the idea to Bill at this year’s Republican National Convention. ML Strategies is a bipartisan consulting group on government affairs and policy, which is wholly owned by Mintz Levin, and has offices in both Boston and Washington. 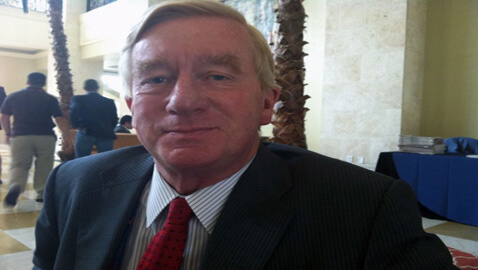 Before becoming the governor of Massachusetts in 1991, Bill Weld served as a federal prosecutor in the United States Justice Department from 1981 to 1988. Bill has experience in handling both legal and business affairs. He also has the experience of heading Leed Weld Equity Partners, a private equity fund where Rudy Giuliani was chairman of the advisory board. Boston-based Mintz Levin has about 500 lawyers and engages in healthcare, life sciences, telecommunications, energy, and other practices.